Where I have purchased mi max Mobile online through ebay.the Canara is not functioning . 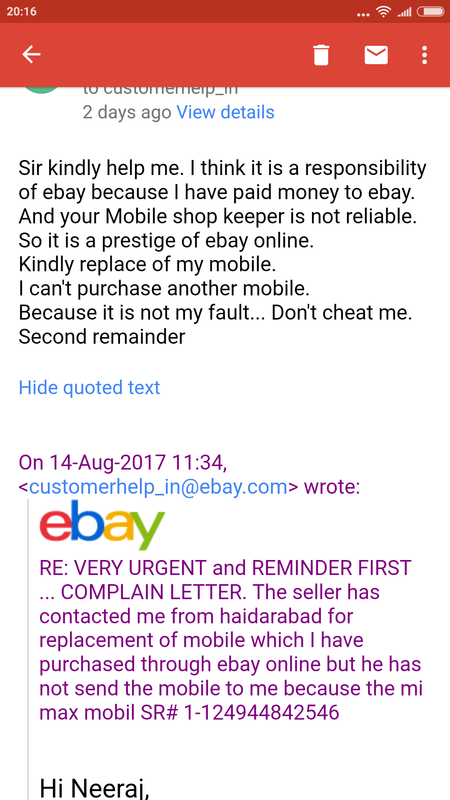 So I want to changes my Mobile with new one but till now he is not replacing my mobile..he has given to haidarabad seller no. Kindly help me to change my mobile with new one. Because the mobile cost is 14999/.